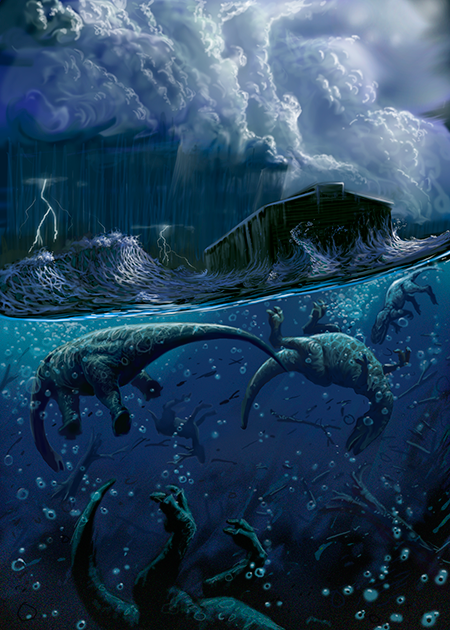 Is there scientific proof that Noah’s Flood happened? Can we know that the Bible is right, and evolutionists and atheists are wrong? The answer is definitely, “Yes.” In June, I had the opportunity to travel to eastern Wyoming with a Creation geologist/paleontologist (Dr. Kurt Wise) for several days to study the Lance formation—several layers of rock in the geologic column that creationists believe were the last layers laid down in the Flood. Many dinosaur fossils have been found in the Lance, especially Edmontosaurus, Triceratops, and Tyrannosaurus. 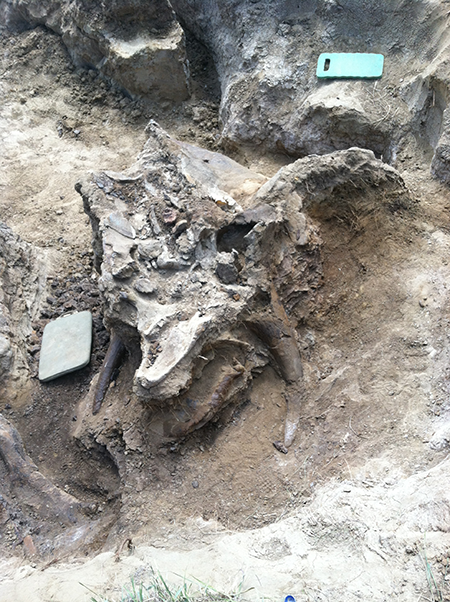 I was able to witness the excavation (digging up) of several Edmontosaurus fossils, and even two Triceratops skulls! The main goal of our trip was to figure out where the dinosaur fossils in that area fit into the Lance formation. No one has been able to figure out exactly how thick the whole formation is, how many layers of each kind of dirt/rock are in it, or how thick each of those layers are. In fact, no one is sure whether or not any single layer within the Lance actually spreads out across the whole area, but has simply been worn away by water and wind over the years in certain places, separating the layers like canyons. Instead, the layers of sandstone and shale (the rock layers found in the Lance) that are found throughout the area could be separate little “lakes” of dirt layers that did not originally connect with each other. 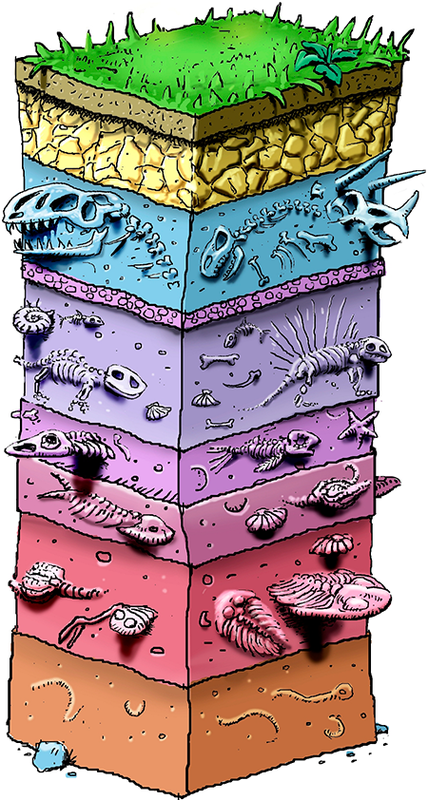 Without that information, no one can know if the dinosaur fossils are at the very top of the formation, middle, bottom, or somewhere in between. While we were able to map out several layers within the Lance formation (about 250 feet worth of thickness) and show that the layers do in fact connect with each other, it will likely take a few more trips to completely finish the job. 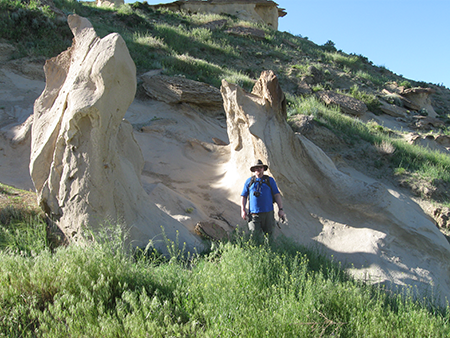 While exploring that 250 feet of the Lance formation, we found some amazing evidence for the Flood. 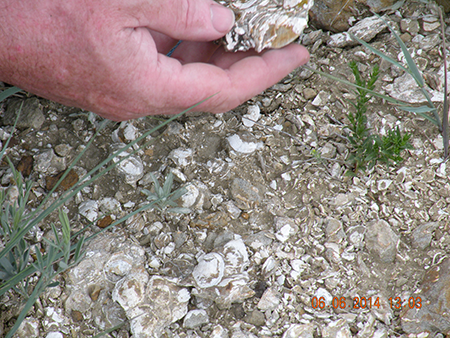 First, we found a bed of fossilized clams. Clams are known to open their shells when they die, if they die in the usual, natural way. However, several of these clams had clearly been buried and killed rapidly in a way that kept their shells from opening when they died. This is proof of a catastrophic (cat-us-TROF-ik) burial, like what we would predict from the Flood, rather than a slow, uniform burial like evolution would predict. The most exciting evidences for the Flood that we found were seven, separate, special layers within the Lance formation called seismites (SIZE-mites), and more will probably be found in the future. 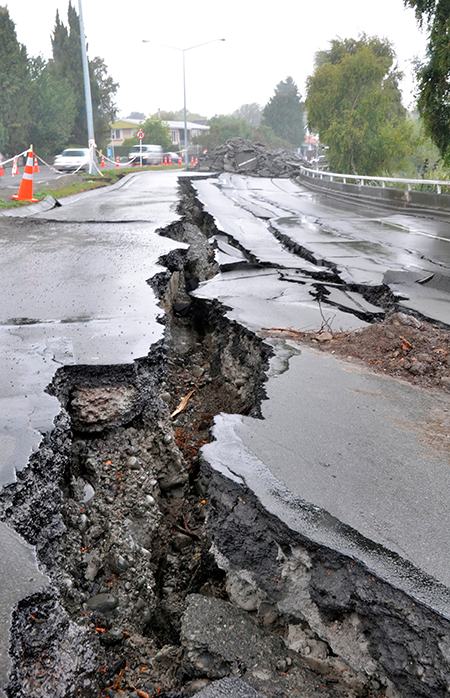 Seismites form when an earthquake vibrates a layer of sediment (like sand) that is covered with water—kind of like the soggy sand that is under water along a shoreline. When an earthquake happens, it shakes the soggy sand, and the water within it tries to escape from the sand, like magma from a volcano. If the sand were to dry out after the earthquake and turn to stone (lithify), then you cut the sandstone in two and looked at the inside layers, you would see squiggly lines that look like volcanoes, where the water had tried to get out as the sand was shaken. These are called fluid avulsion (uh-VUL-shun) structures, and they are usually only a few centimeters thick today. 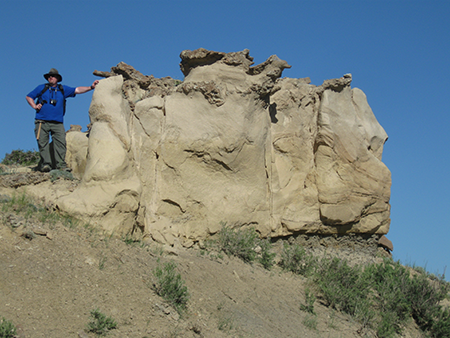 The seismites we found in Wyoming, however, were several meters thick, rather than a few centimeters thick. This means that (1) the whole area was once covered with a lot of water (enough to make several meters of sand soggy); and (2) several major earthquakes happened—at least seven earthquakes so huge that no human has ever experienced them (except Noah and his family, who were probably still in the Ark floating on the water). This is proof of catastrophism like would be predicted from the Flood, not uniformitarianism like evolution would predict. Many evolutionists believe a meteor struck the Earth over 60 million years ago and caused the dinosaurs to go extinct. They would point to a seismite as proof of the earthquake from the impact, and point to the Chicxulub crater off the coast of Mexico as proof of the meteor. That prediction, however, does not fit the facts. Where is the evidence of multiple massive meteors hitting Earth, creating each of the seismite layers? No such craters exist. In truth, by claiming that a meteor caused such a worldwide effect, evolutionists have admitted what creationists have long believed: that uniformitarianism alone cannot explain the evidence. A global catastrophe seriously affected the Earth in the past. While meteors certainly could have played a role, a global Flood no doubt played a larger role, and it helps explain the evidence.